Continuing on my travels, I had a day in Rome in the summer. Not a lot of time to explore, but you can certainly pack it in…here’s how. Rome wasn’t built in a day, but that’s no surprise. 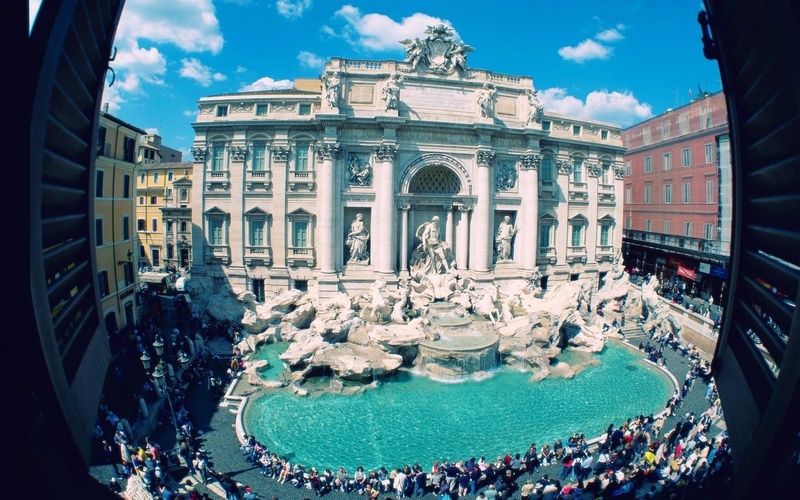 It takes time to create great things and Rome is truly a great city. Its greatness grips you, even if you only have 24 hours there, like I did. Rome feels like the world’s biggest living museum; you’re walking through history. It’s ancient and modern all in an exciting, stylish package waiting to be unwrapped. This imperious structure was commissioned in AD72 by Emperor Vespasian to keep his people entertained by staging deadly gladiatorial combat and wild animal fights. Very gruesome, with over 9,000 animals killed in the inaugural games of AD80. If the arena got too bloody it was simply covered with a fresh layer of sand. Not my idea of entertainment but even without having to witness any massacre, the Colosseum is a spectacle to behold. The feeling of magnificence and destruction is powerful and disturbing. 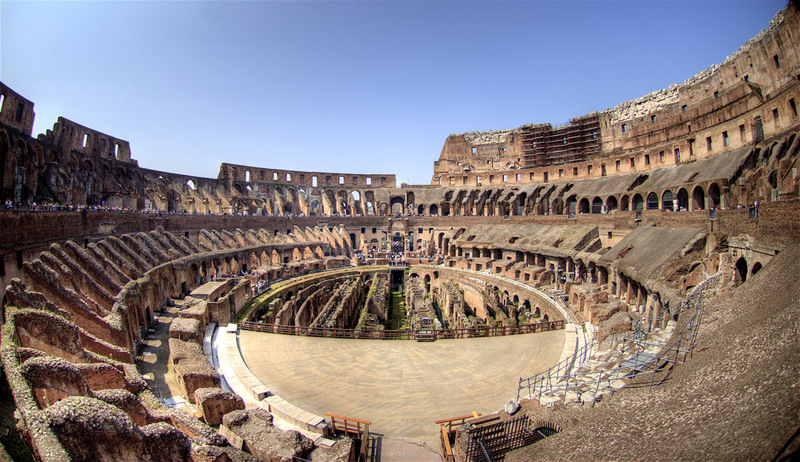 Inside the majestic Colosseum where the masses were entertained with death! There are gelato shops everywhere and this deliciously sweet and refreshing confection is impossible to resist on a sweltering Roman day. Gelato is not ice cream. 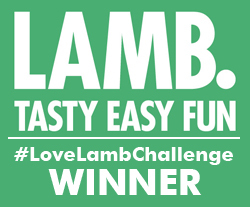 It has less fat as it uses more milk than cream, is churned at slower speed so it’s denser (and therefore arguably more flavoursome) and it’s served about 15 degrees warmer. So that’s cleared that up. 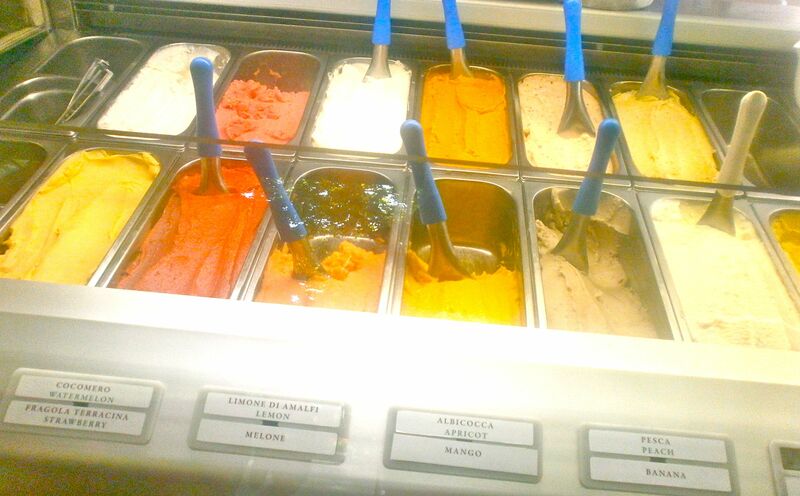 The choice on offer at Gelateria del Teatro (Via San Simone, 70) is mind-boggling. The central area around which Ancient Rome was built (some of which dates back to the 8th century BC) is now a collection of majestic ruins (if ruins can be majestic). Take a breath and imagine the civilisation it represented thousands of years ago. 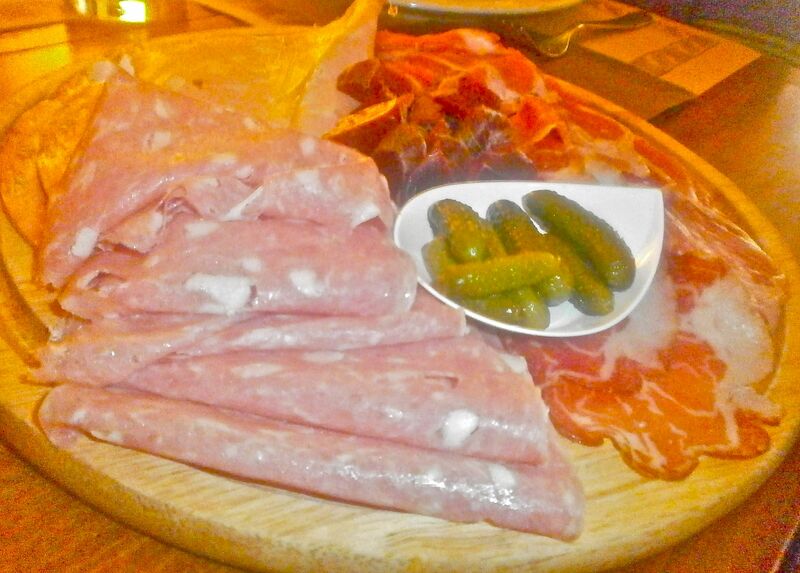 The meats and cheeses of Italy are wide-ranging, delicious and…well, seemingly endless. At Beppe i e suoi formaggi (Via di Santa Maria del Pianto, 9A/11) you can enjoy a large platter of tasty morsels and a bottle of wine before, fortified, you continue your explorations. One of the busiest attractions in Rome, it’s best to pre-purchase a guided tour to escape the (often very long) queues. These knowledgeable guides can make your day. The winding corridors and grandeur of the Vatican, its amazing museum, Raphael’s Rooms, the Sistine Chapel and St Peter’s Basilica will leave you feeling dizzy from their beauty, history and sheer magnitude. 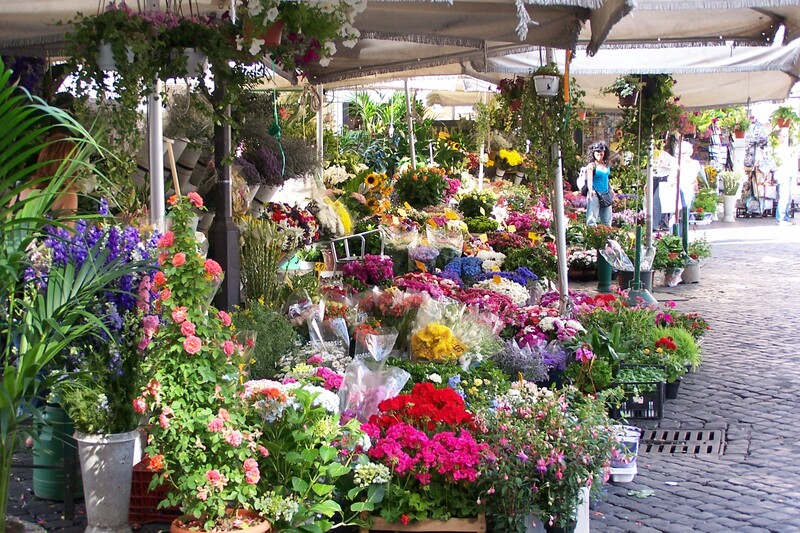 The Campo de Fiorio (field of flowers) market was originally a meadow. Public executions were held here regularly. In 1869 it became a daily fish and vegetable market. The only hanging you’re likely to see now is herbs, garlic, flowers and dried chillis. That’s more like it. And there’s the unmistakeable aroma of bread and pizzas cooking. At the Forno Campo Fiori you can watch the bakers at work, inhale the scents and munch on warm pizza bianca straight out of the oven. This incredible circular structure was built as a temple to all the gods of Ancient Rome. It’s still the world’s largest unreinforced concrete dome. If that sounds amazing, wait until you see it. I’ve travelled a fair bit and I have to say the Pantheon is possibly the most unexpectedly breathtaking structure I’ve ever seen. This bustling square is the perfect place to people watch, relax and recharge. There’s no shortage of delectable Italian drinks, depending on your mood. Just remember not to order a latte – you’ll get a glass of milk. It’s important to ask for a caffè latte when you’re in Italy. One of many, many fountains in Rome, this is no ordinary fountain. The first time I saw it I nearly burst into tears. You have to throw a coin in. One coin means you’ll always return; two you’ll meet a lover in Rome and three, you’ll marry them. Our American guide threw three in when she arrived in Rome and, guess what, she married a Roman. Worked for her. Again, these are no ordinary steps. 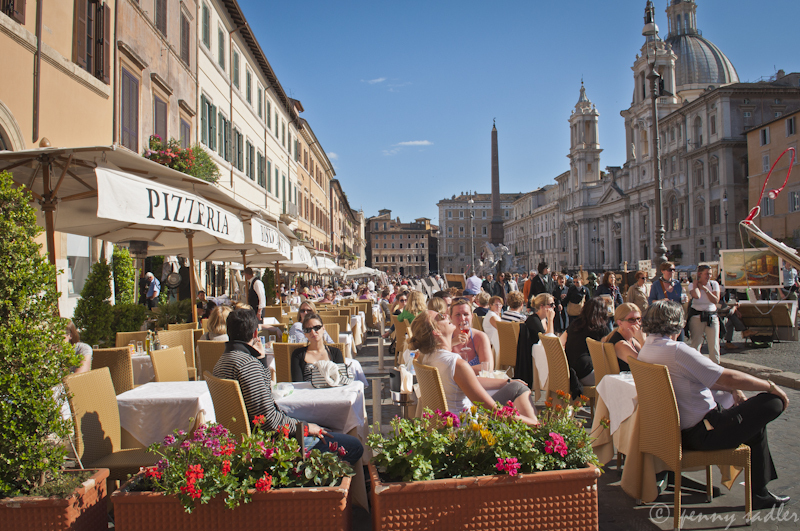 In Woody Allen’s To Rome with Love, American tourist Hayley falls in love with her dreamy Roman, Michelangelo here. Worst case scenario, you’ll fall in love with Rome. I can say again with confidence that Rome wasn’t built in a day (that happened over several centuries). But the most amazing thing is that it doesn’t even take close to a day to fall completely in love with it. Throw that coin in that fountain. I have to return.